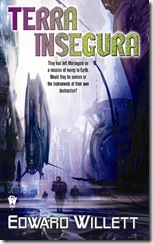 My book is out, and I’m giving it away–the sequel! Paul recently accused me of being too modest to promote myself here on Futurismic, but this should prove him wrong! 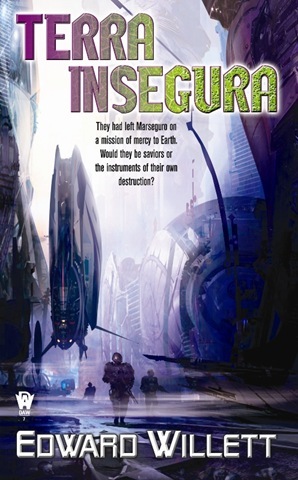 My latest science fiction novel, Terra Insegura, is out from DAW Books tomorrow, and to promote it, I’m running a month-long giveaway at my blog (details here). You’re welcome to enter over there, but as I did last year for Marseguro, I’m also offering a special for Futurismic readers only. I’ll keep this draw open for two weeks, closing it at midnight GMT on Sunday, May 17. And just a reminder: you can read the first two chapters of the book and/or listen to me read them on my website. We now return you to your regular Futurismic programming. Comments Off on My book is out, and I’m giving it away–the sequel!